A few years ago a dear friend of mine gave me a book about Wunderkammer, more commonly known as cabinets of curiosities, which are a 17th and 18th century tradition in which collectors would display exotic specimens culled from nature like shells, sea creatures, and taxidermy. I am sure I will do a more proper post on that topic one day. 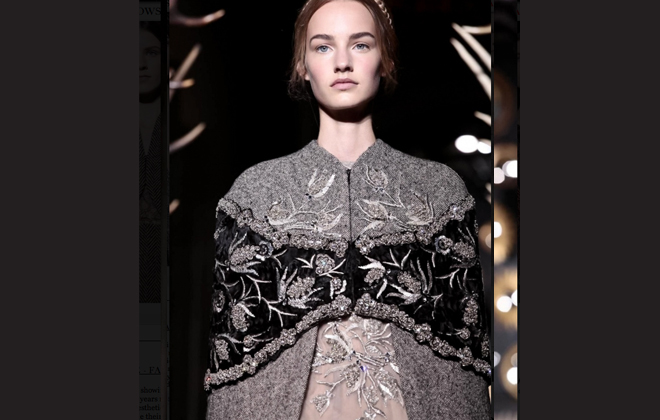 The reason I mention it here is because of the recent Valentino Couture A/W 2013 show in Paris. 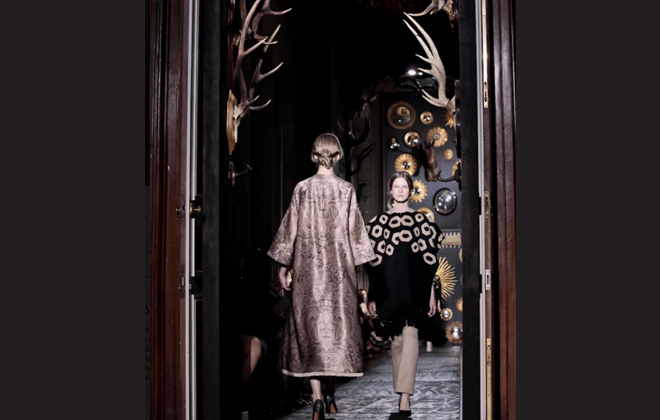 The overall theme of the collection was based on Wunderkammer and the pieces in the collection reflected this motif in various ways through pattern and embellishment. The results were stunning. 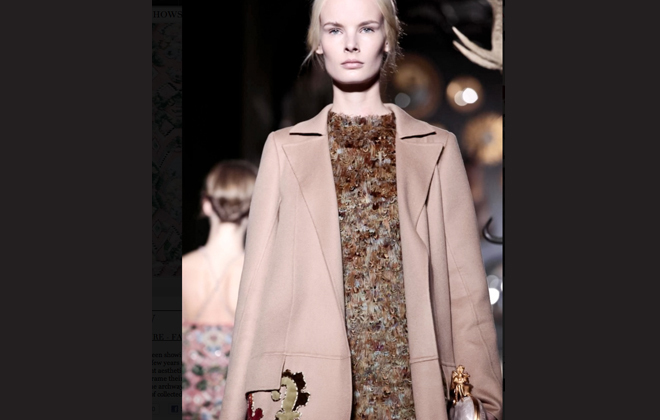 One of the dresses with a pattern motif based on Wunderkammer. 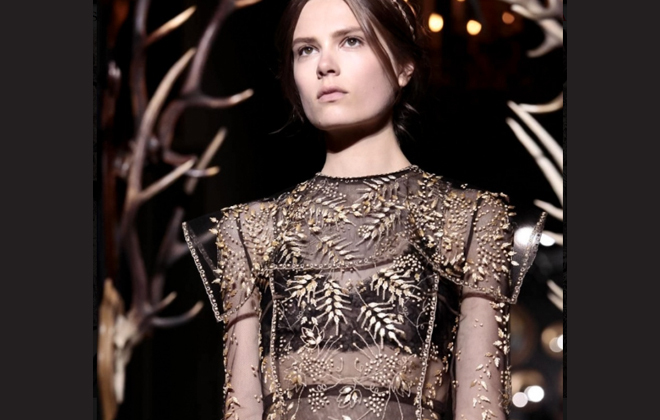 The atmosphere of the salon seems to pull one into another fantasy world just as a couture show should do. The dark painted walls and antlers are right up my alley as anyone who has seen my home would know! Apparently the walls at the entrance of the salon were filled with real cabinets of curiosities but I couldn’t find any photographic evidence to share with you. Antlers, mirrors, and dark paint. Oh my! 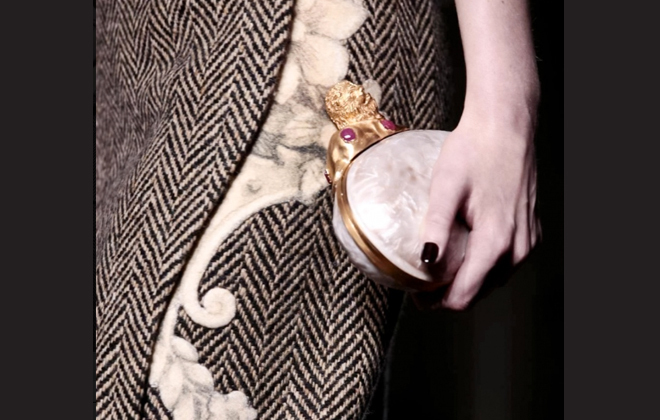 The collection has so many levels of details with amazing embellishment. 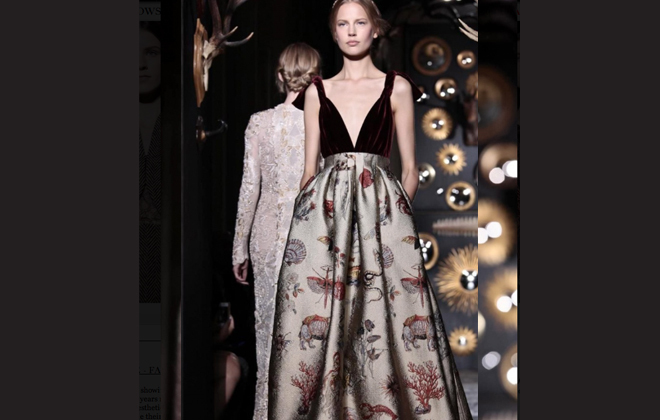 As Vogue.com states about the latest from this Valentino duo, “This collection affirmed their authority in the decorative, breathtaking arts of evening dressing in a spirit Piccioli describes as “regal.” I do think it is breathtaking. 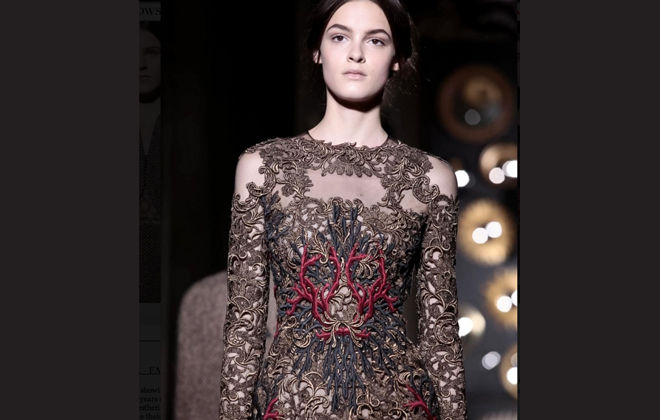 This feather embellished dress is other worldly. 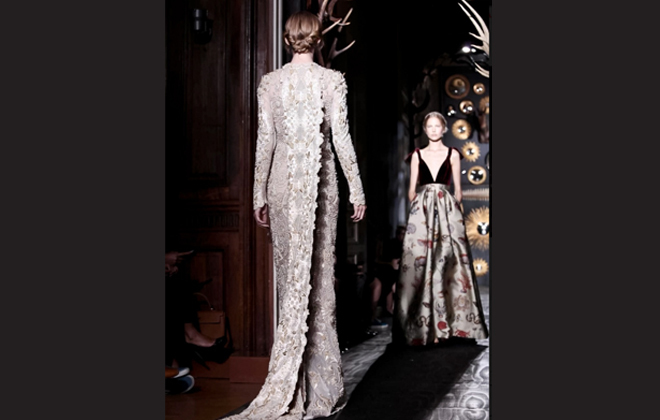 With so much of our current fashion, especially ready-to-wear, being mass produced in a way that is utterly opposite of what goes into a couture piece of clothing, I find myself pinning for a reason to own just one piece of clothing as finely crafted as these items are. What a true luxury. 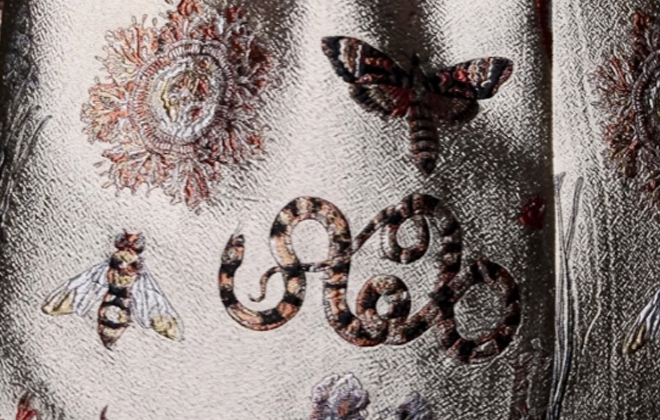 Look at this embroidery. It’s just gorgeous!